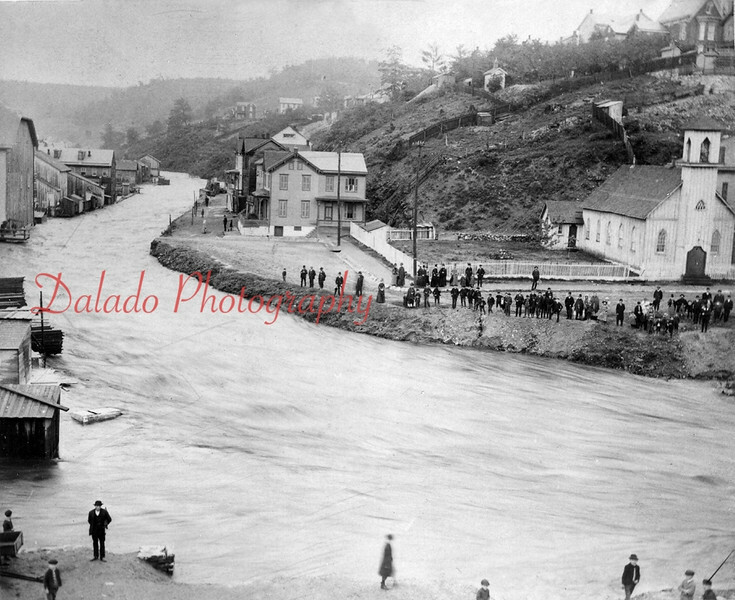 (06.01.1889) Flood- Shamokin Creek over its banks near Trinity Episcopal Church. Also shown is the area formally known as Terrace Avenue. It is now a parking lot for the Rescue Fire Company and Lawton W. Schroyer Memorial Swimming Pool.